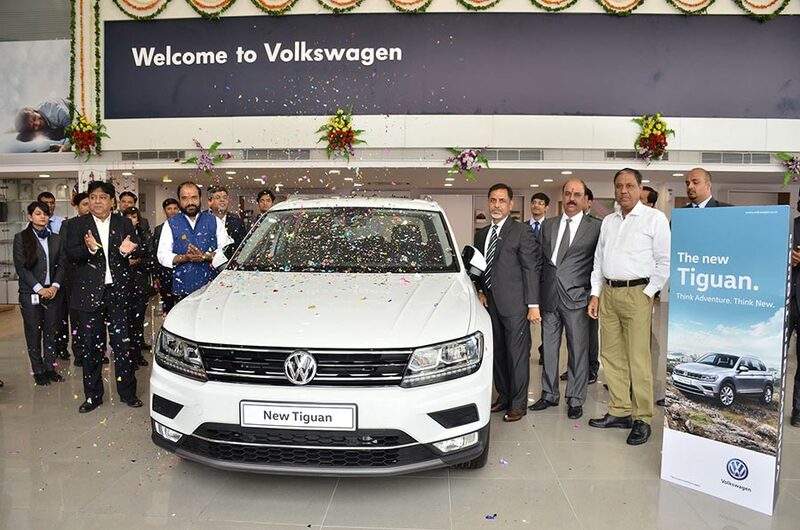 Volkswagen, Europe’s leading car manufacturer, today inaugurated its new dealership in Jaipur, Rajasthan. The new facility Volkswagen Ajmer Road is a 3S set-up, located at a prime location in Jaipur. The main showroom is designed for a 09 cars display area with an additional 04 cars display at the 3S facility located at Vishwakarma Industrial area. To ensure the precision in service and on-time delivery of cars Volkswagen Ajmer road workshop is equipped with 16- service-bays, paint and body shop, express service facility and a professionally trained team of service advisors and technicians. The dealership will be spearheaded by Mr. Jawahar Morani, Dealer Principal, Volkswagen Ajmer Road, Shreeyam Morani Rise Private Limited. With the inauguration of Volkswagen Ajmer Road showroom at Jaipur, we are confident to reach out to even more customers further addressing the ever growing demand of our carlines in the region. The new showroom will not only add to our accessibility but also will add to the comfort and convenience of our customers enabling them to experience the best of Volkswagen. With the inauguration of the new dealership Volkswagen increases the total number of customer touchpoints in Jaipur to three thereby taking the total network to 121 showrooms in 105 cities across India.